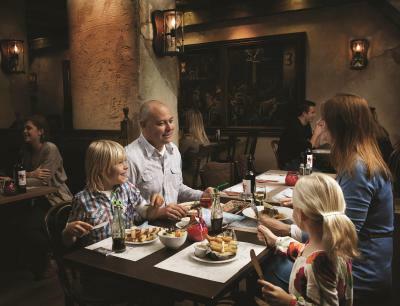 Lock in a great price for Efteling Bosrijk – rated 9.2 by recent guests! Location was perfect and staff are super friendly and service orientated. A few minutes walk from the park and surrounded by trees. The place is magical and I love that parking and admission were included in the price of the room. There were lots of bunnies and little perks along the way (treats from staff) to make the experience special. 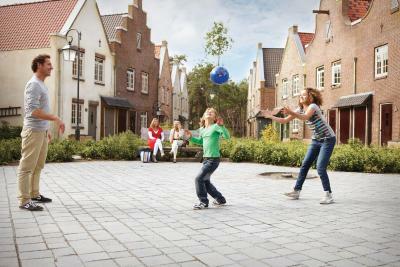 The efteling bosrijk village is just a few minutes walk from the park. The village itself has a charming atmosphere, a lake with a nice little castle in the middle (that belongs to "Mr Sandman") that lights up at night, a playground, a swimming pool, a little grocery store, restaurant and free parking. I recommend downloading the Mr Sandman quest app for the kids which is specific for the bosrijk village - you walk around the village looking for "magic sand" via a clever GPS system and solve little activities on the way. The rooms themselves have everything you need - kitchenette, oven, tv (with dedicated efteling channels) and more. Most comfortable beds, location literally 5 mins to park. Staff very friendly. 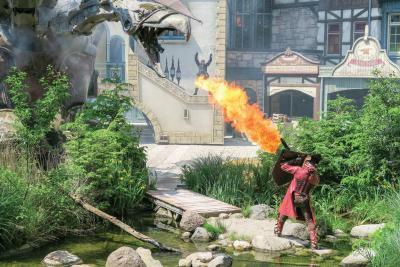 Everything-the park Efteling is the best, the forest,the resort Efteling,the lake,animals,the restaurant . The receptionists. Always happy to help. Location to Efteling park. Love the extra touches for children too. Mr Sandman. Everything! 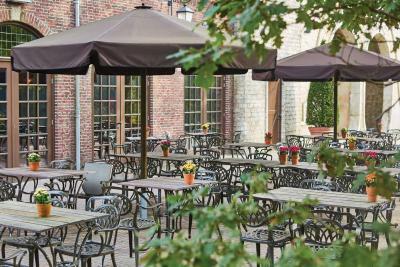 The best place to stay in when visiting Efteling Park. 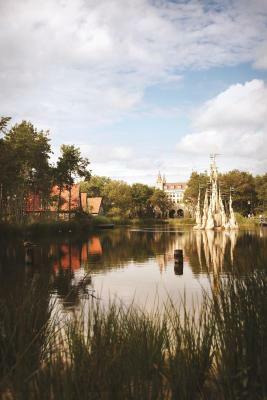 Located next to the Efteling theme park, Bosrijk offers apartments with views over the park, free WiFi access and unique décor with an Efteling theme. 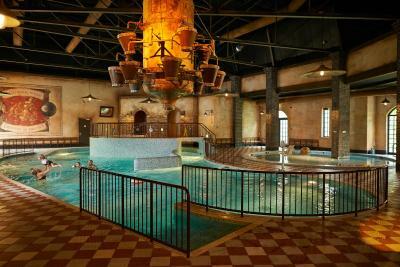 The park includes a restaurant with a pizza oven, a souvenir shop and a bathhouse with a children’s pool. The center of Kaatsheuvel is 1.6 mi away. Tilburg is 20 minutes away by car. 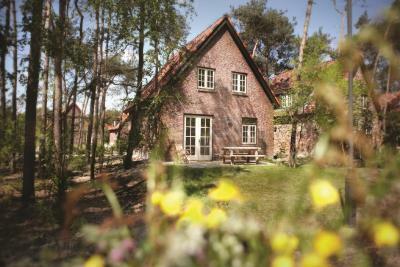 De Loonse en Drunense Duinen National Park is less than a 10-minute walk from Efteling Bosrijk. 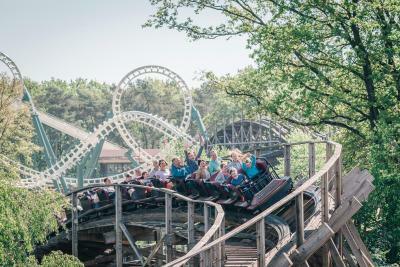 The Efteling Golfpark is 5 minutes away by car. 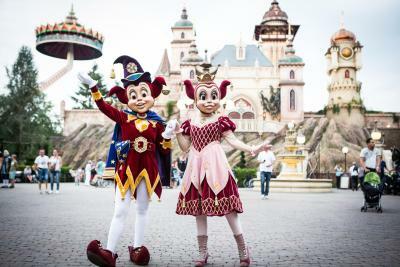 Each of the apartments at the Efteling includes an open-plan living area with a double bed, a seating area with TV and a kitchenette with a microwave and tea/coffee making facilities. There is also a bedroom with a loft bed and a single bed for the children. This property is also rated for the best value in Kaatsheuvel! Guests are getting more for their money when compared to other properties in this city. 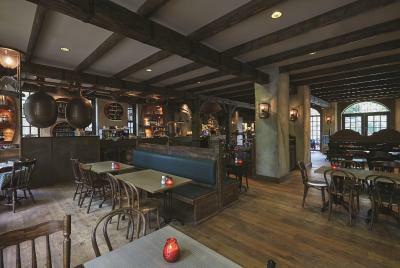 When would you like to stay at Efteling Bosrijk? 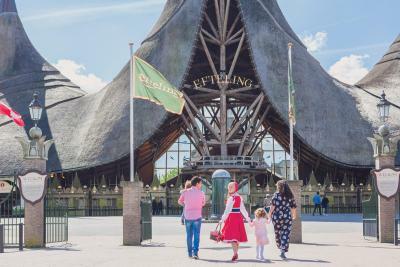 Each of these Efteling-themed apartments offer a view over the green slopes of the Efteling Golf Park or over the Efteling Bosrijk. They include a kitchenette with a microwave and tea/coffee making facilities. 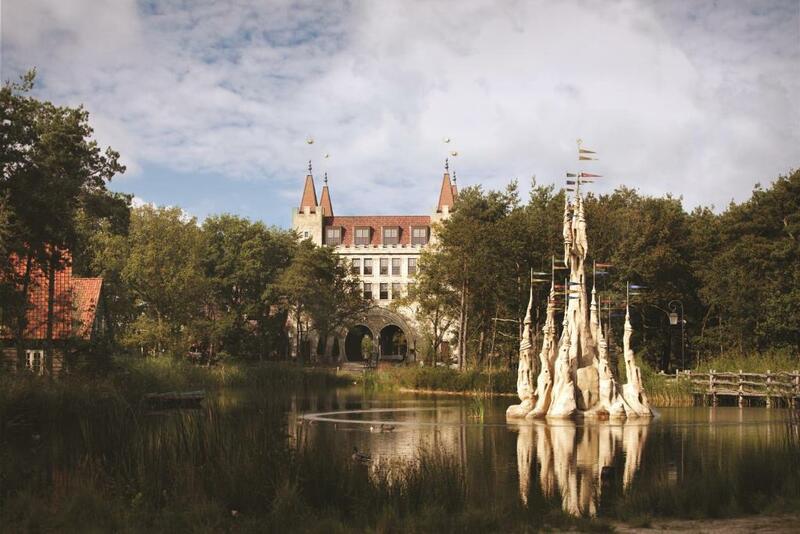 - Free map of the Efteling Park. 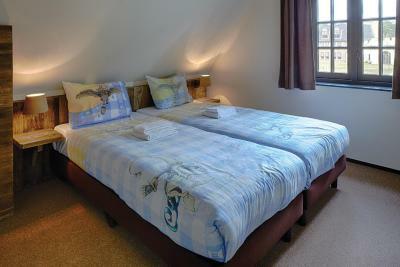 The apartments are equipped with facilities for children such as a high chair and a cot. This bungalow features a microwave, electric kettle and seating area. 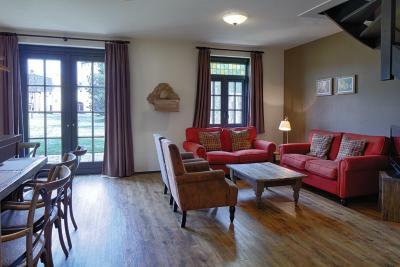 The bungalows are equipped with facilities for children such as a high chair and a cot. 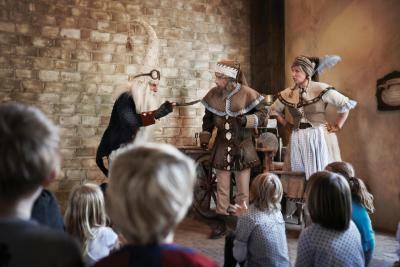 House Rules Efteling Bosrijk takes special requests – add in the next step! ATM card Efteling Bosrijk accepts these cards and reserves the right to temporarily hold an amount prior to arrival. 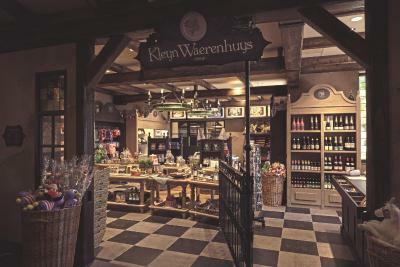 Efteling Bosrijk accepts these cards and reserves the right to temporarily hold an amount prior to arrival. Please note that children from the age of 4 years old stay at this accommodations at the normal rate. It would have been convenient to have bigger size toiletries (shower gel and shampoo) in the flat instead of 1 tiny shampoo bottle (20 ml bottle) and 1 soap bar for 2-night stay of a family of 4. Great customer service and facilities! 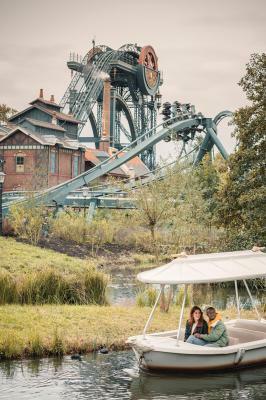 Efteling park itself is an amazing experience! We had hoped to get a cabin and were placed in the castle but were relieved that the room was still spacious.